A wise man once said that he could learn from anyone… did you catch that? He was wise… because he didn’t let anyone stand in his way of growth. Not their successes or their failures. Not their preferences, their convictions, their methods, their mannerisms, their eccentricities. We would be wise to learn from this as well… everyone can teach you something! Some might teach you WHAT to do, HOW to live, WHY, WHEN – but others might teach you why, how, and what NOT to do! 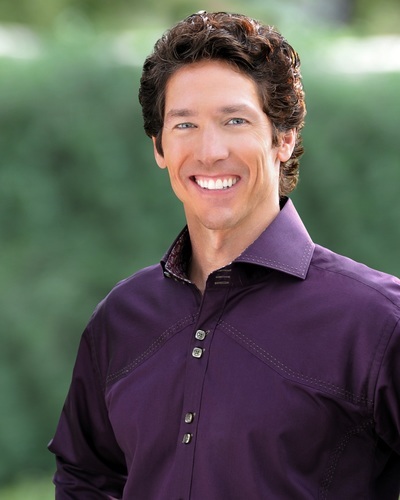 Osteen is known for his trademark smile (it’s almost creepy how much he grins, isn’t it!?). But the fact is – warm joy takes truth further into the soul than the cold call of duty. Happy creatures are magnetic while negative ones polarize. The good news is truly that — good news! How tragic when the good news is delivered with a frown or a tone of judgment. I realize that the gospel incorporates ‘negative’ elements of sin and God’s wrath, of blood and death… but it’s overarching message is one of hope and grace. Share His love with a smile. Warm joy takes truth further into the soul than the cold call of duty. In his book, Osteen challenges the reader to believe in himself because of the ‘Champion’ within. He convinces his audience that he believes in them, that they need to believe that things will not always be the same as they are right now, that they don’t have to live under the circumstances, and that they should take action to change their lives right now. This is powerful because it offers people hope and a promise. Personally, I believe that the source of hope needs to be more than just believing in yourself; it should be sourced in the great truth that God believes in you (although Osteen might see this as semantics / splitting hairs). How might God use you to give hope to someone who is struggling today? Believe in them because God does! Although Osteen was a PK (preacher’s kid), he has readily admitted that he didn’t see himself in the pulpit. He avoided the spotlight and felt much more comfortable behind the camera than in front of it. But, in spite of my many critiques of his methods and quirkiness, I believe that God is bigger than my level of tolerance or acceptance of his ministry. I should admit that God IS using him to share the gospel and bring glory to His name. God’s grace is bigger than anyone can imagine. Don’t get me wrong… I’ll not soon throw the baby out with the bathwater. I would never deny hell or the sinfulness of sin on national TV (like he did on Larry King Live) – but then I’ll not answer to God for what Joel Osteen has done, will I? I’ll try to keep my eyes on my own life and keep myself in check. Aren’t you glad God uses us all in different people in different ways? To think… Wow, God can even use me (and you)! This entry was posted in leadership, Patrick Nix, practical helps and tagged grace, happiness, hope, Joel Osteen, joy, leadership, love, smile, surrender on February 11, 2013 by PatchNix. 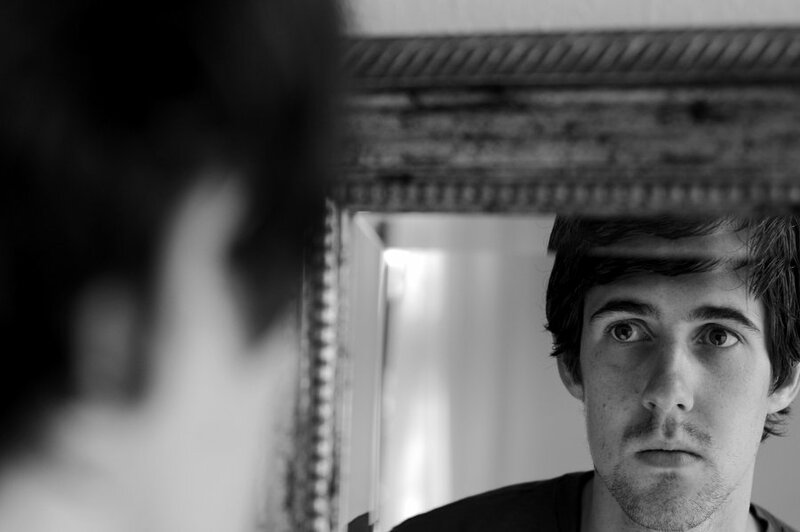 I normally don’t spend a lot of time in front of the mirror. Even when I do to shave or brush my teeth, I take little time out of my day to really look. But today was different. I paused and took a long, hard look because today, I am forty-two years old. Forty-two years ago today, God chose to bring me into this world. He did so with a plan, a purpose for this boy born six weeks pre-maturely on October third in Covington, Ky. As I looked at the face staring back at me, sifting through the memories that accumulate, I realized God’s plan would have involved few of the things I had said or done in that time. Of course, you can argue the experience factor: all the things I have done have molded me, for better or worse, into the man I am today. And without the Holy Spirit to guide my conscience, I wouldn’t care about the manipulative or hurtful words spoken in anger or haste in the first half of my life. I could chalk my life up to…well…life, and go on with my day. But there is something more going on here. God knows all things, He is God. Yet He still brought me into this world knowing I would fail Him time and time again. In fact, as I reflected, I realized that was the one thing I have done with spectacular success. But God is also patient. From this day in 1970, He looked ahead 9 years to when I would accept Jesus Christ as my Lord and Savior. He knew I would understand the basics of salvation, but it would not be enough to keep me from being overwhelmed by the “eye candy” of this world. He saw the day 24 years later when I would quietly and prayerfully give my life completely to Him. He knew the day would come when I said, “Whatever you want, wherever you want me, whenever you’re ready; I’m in.” I guess I needed the experiences, but only because I didn’t pay attention. You see, I was brought up in a good, loving Christian home. I was taken to church every week. I heard the Word of God; I heard the Gospel, but I didn’t listen too closely. He gave me every opportunity to be shielded from this world, but I sat oblivious to what was really being said and what was really at stake. There is still too much of me in the mirror. As I look at the man in the mirror, I see grace and love. Not mine, of course, but God’s. The world should look at me as I am now and see Jesus Christ…but they don’t. I know there is still too much of me in the mirror. But He isn’t done yet…not by a long-shot. The first half of my life I spent a lot of time and energy getting in the way. I wonder what I’ll see in another forty years as I spend all of my time and energy trying to stay out of His way? This entry was posted in CS Depew, spiritual growth and tagged birthday, glory, grace, life, memories, reflect, surrender on October 6, 2012 by PatchNix.